The Blade Stealth is a fine laptop on its own, but a powerhouse with Razer’s Core external GPU. 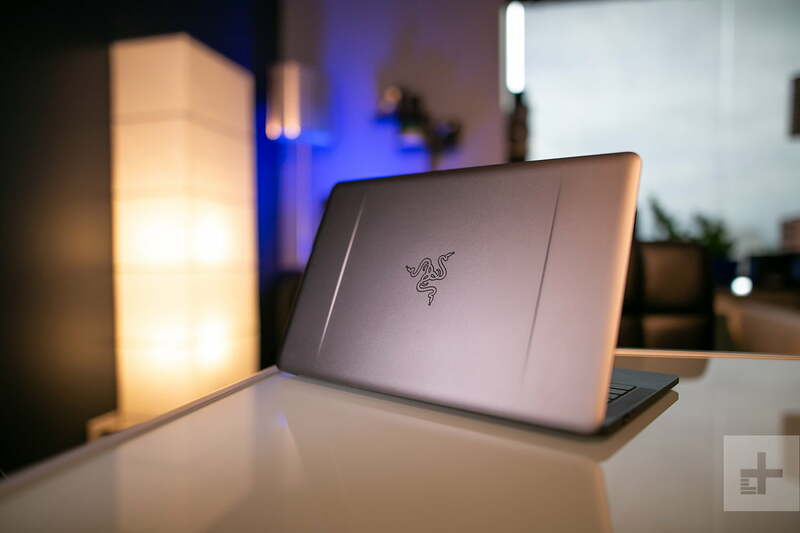 The Razer Blade Stealth has always faced an uphill battle. Both gamers and average laptop buyers will make false assumptions about what this laptop is. It looks like a gaming laptop, but it’s not a gaming laptop. At least, not on its own. 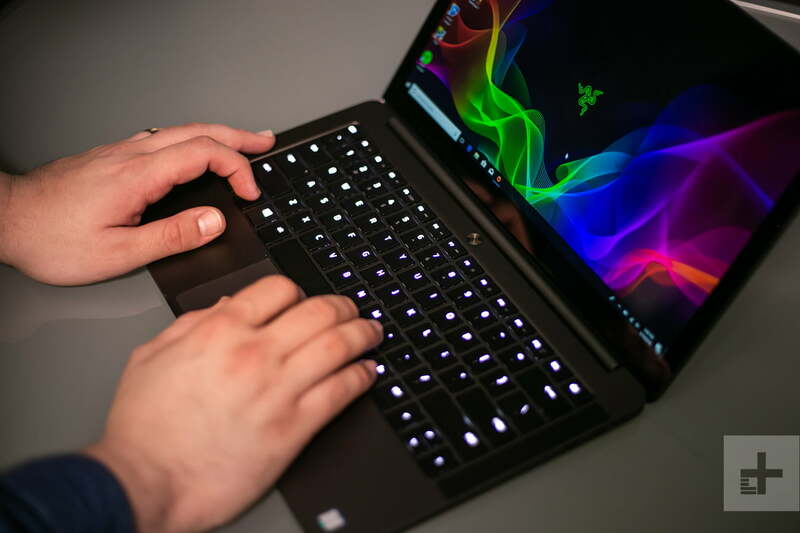 Meant as a complement to Razer’s gaming laptop lineup, the Blade Stealth has much in common with the Dell XPS 13 and MacBook Pro. Its latest update brings 8th-gen Intel processor and an assortment of design refinements, priced at $1,400 and up. 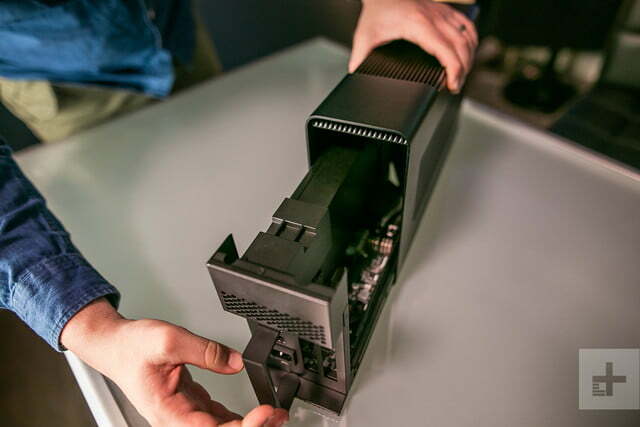 While the Blade Stealth may have a tough fight ahead if it hopes to overturn expectations, once it’s plugged into the Core V2, Razer’s external GPU enclosure, the system comes alive. Razer knows what it’s doing on the design front. In a market that favors flashing lights and chrome, Razer’s understated use of flat colors and straight lines is refreshing, especially when you compare it to Alienware and Asus’ Republic of Gamers. The Blade Stealth follows in the legacy of the original Blade, which just happens to be one of the most portable and well-designed gaming laptops ever made. It has a slick, unibody aluminum frame, for sturdy build quality you’d easily confuse with a MacBook Pro. There’s no question the Blade Stealth takes a lot of influence from the designers over at Cupertino. But that’s okay — after all, the idea behind the Blade Stealth is to blend in, not stand out. There are a few oddities, however. The first are the speaker grills, which have moved to the sides of the keyboard deck — again, like the MacBook Pro. They’re heavily emphasized, making them a bit of an eyesore. Speaking of eyesores, the display bezels aren’t exactly eye candy. For a laptop that’s competing with the Dell XPS 13 and even the MacBook Pro, the thick bezels are hard to overlook. On the plus side, the Blade Stealth has the custom keyboard lighting Razer is known for. The colorful Chroma lighting is only available in the Black model, but we quite liked the white backlighting that came on our review unit, too. It’s bright, gives you multiple brightness settings, and offers plenty of ways to customize it. The Razer Synapse application lets you reprogram any of the keys to perform different tasks with the function keys. It’s not something a lot of people will use, but it’s a unique way to customize your PC. As gaming brands go, subtlety is Razer’s calling card. Speaking of the keyboard, it’s fantastic. Travel distance is deep enough to be comfortable and much better than the MacBook Pro, without adding any thickness to the overall size of the laptop. The touchpad is another high point. It’s a bit smaller than we’d like due to the larger, spaced out keyboard, but we never felt it wasn’t spacious enough to handle multi-finger gestures. 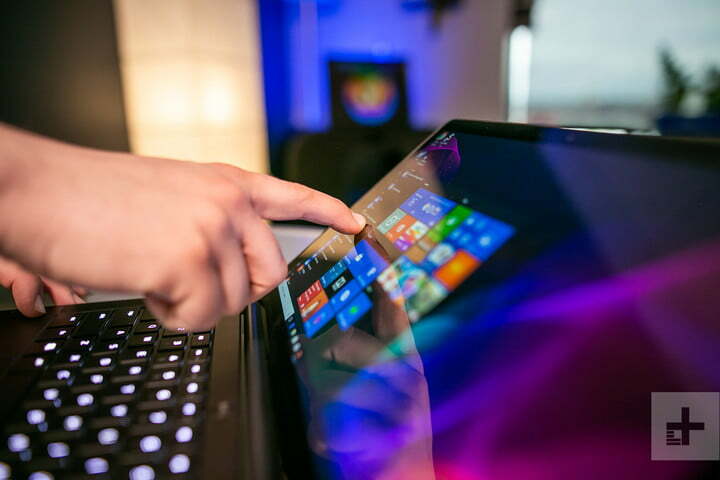 The click action is precise and tracking across the glass surface feels accurate, easily on the level of a Surface, XPS, or Mac device. 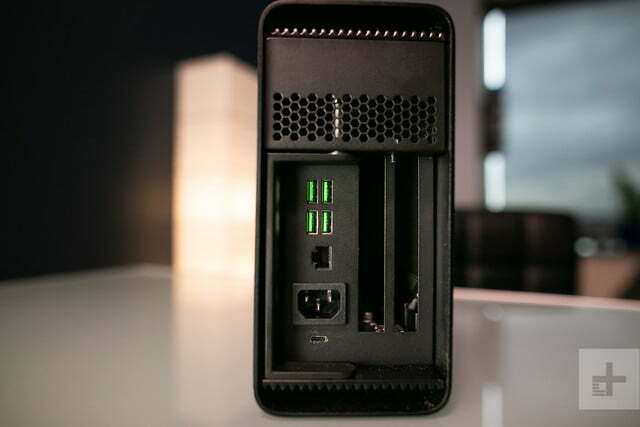 The port selection here is solid, offering a Thunderbolt 3 USB-C, an HDMI, and two USB-A ports. It’s a good cocktail of the old and the new, refusing to go all-USB-C like the MacBook Pro, HP Spectre 13, and Dell XPS 13. 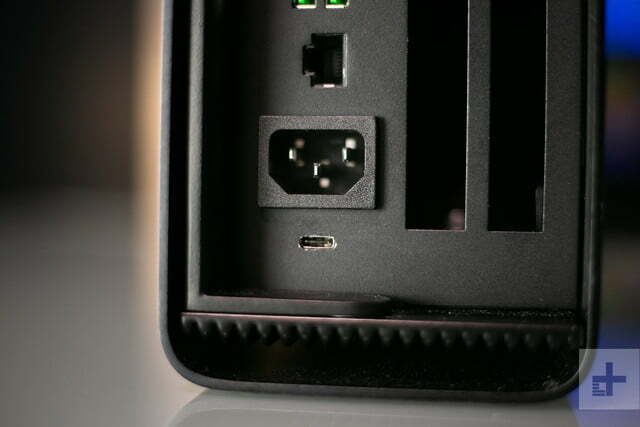 Charging happens through the Thunderbolt 3 port. 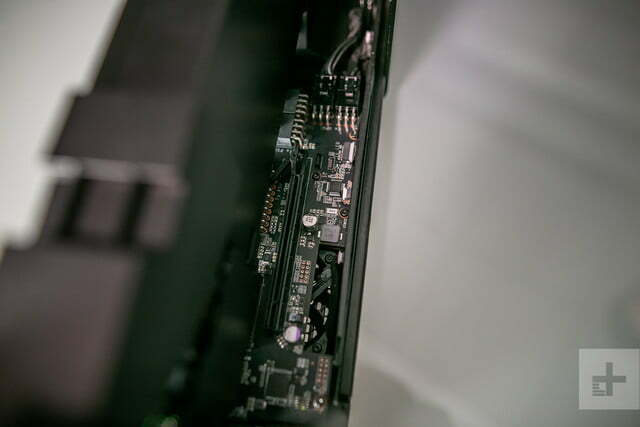 It should be noted that the Blade Stealth does not include a microSD slot, which you’ll find on the Dell XPS 13. The Blade Stealth is a high-quality laptop, and that fact was confirmed when we tested the screen. It’s a 13.3-inch, 16:9 display that looks great, whether you’re gaming, watching movies, or plugging your way through spreadsheets. It comes in at a resolution of 3200 x 1800 display, which Razer awkwardly calls QHD+. While the extra resolution is nice to look at, we would have preferred a 1080p option as well. Not only would that have knocked the price down a bit, it’d also extend the battery life, which we’ll touch on later. Though it’s not the brightest screen in the world, coming at 252 nits, you probably won’t notice unless you try to use the laptop outdoors. It also doesn’t do as well in the AdobeRGB color space as laptops like the Dell XPS 13 or MacBook Pro, though its color accuracy is excellent. As for speakers, they’re facing up at your instead of pointing down at the desk, which is always nice. Unfortunately, they look like the MacBook Pro’s speakers, but don’t sound anywhere near as good. The same goes for the 720p webcam, which is located above the screen. Regardless of which configuration you choose, the Razer Blade Stealth features some high-quality components, both in terms of storage and processor. All configs come with the very capable 8th-gen Intel Core i7-8550U, up to 1TB of speedy Samsung M.2 PCIe solid state storage, and 16GB of dual-channel memory. While it means Razer doesn’t offer anything lower than $1,400, we do appreciate the simplicity of the purchasing experience. Price-wise, Razer doesn’t seem to be adding a premium for the included 16GB of RAM, which is no doubt there to enhance the gaming experience when plugged into the external GPU (more on that later). Without the Core, 16GB is probably more than you need. The Blade Stealth handles the CPU well, producing impressive single and multi-core performance. That means you shouldn’t notice Blade Stealth stutter or hiccup when handling a busy workload, including multiple applications, browser tabs, and watching videos simultaneously. 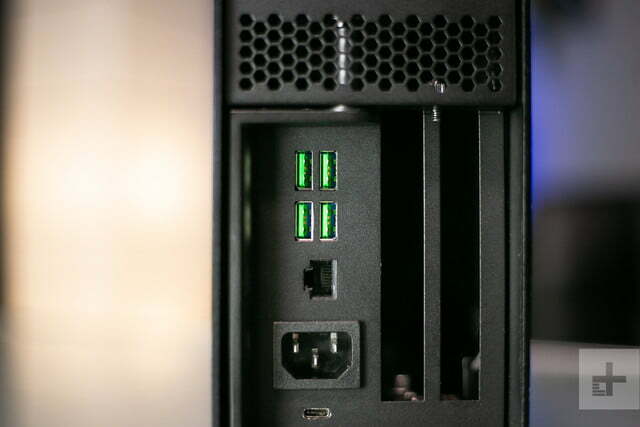 Even in an intensive workload like encoding a 4K video, the Blade Stealth handled it like a champ. It’s not quite as speedy as the Dell XPS 13, which pushes its CPU to the absolute limit, but the Blade Stealth is right in line with what we’d expect from the i7-8550U. 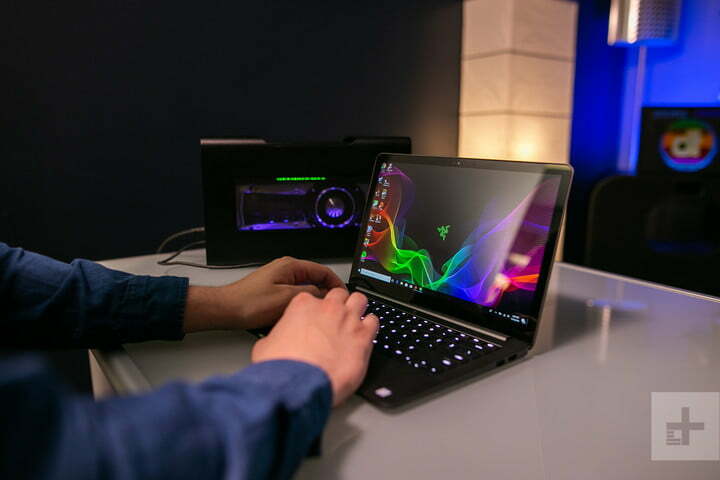 The Razer Blade Stealth can hardly game on its own, which seems contrary to the Razer brand. You’ll be able to manage around 30 FPS in a light game like Rocket League with settings turned down, but that’s about it. It’s what we’d expect from a laptop of this size, though when you see the Razer logo branded on you, you might expect a little more. 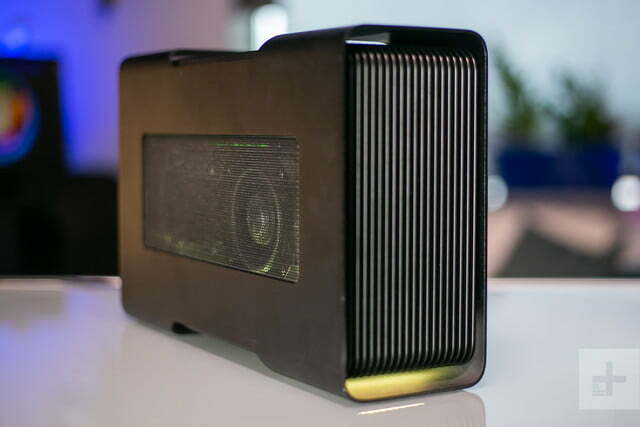 Of course, the Blade Stealth was always meant to go hand-in-hand with the Razer Core V2, the company’s external GPU. 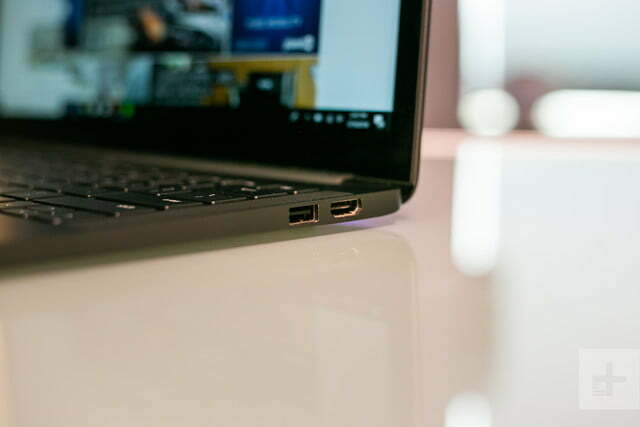 Using the laptop’s Thunderbolt 3 port, the two products work together nicely, but it’s not fair to count that as part of the overall package because they aren’t sold together. 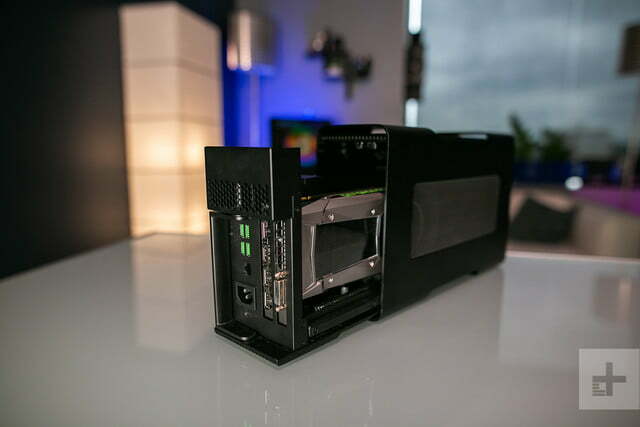 We did try it out, though, stuffing an Nvidia GTX 1080 into the little, black enclosure. Once we had all the necessary drivers loaded up, we were impressed to see the GPU light up and instantly boost our gaming performance. Compared to just about any other laptop we’ve tested, the combination of the Blade Stealth with the Core V2 stomped the competition by a healthy margin. We saw a solid 62 FPS running Civilization VI in 1440p on Medium settings, which is 20 FPS more than on dedicated gaming laptops with similar hardware. It’s a neat concept, though we’d like to see Razer bundle the laptop with the eGPU together to show some commitment to the idea. At its current cost, it’ll remain a niche solution. 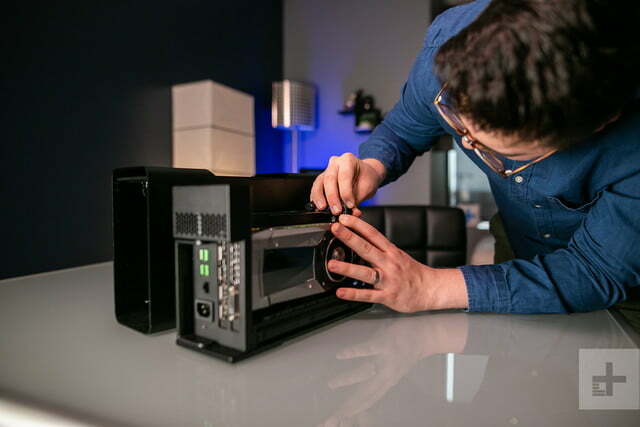 If the eGPU setup is the best fit for your lifestyle, however, this is a winning combination. One of the hallmarks of the modern, thin-and-light laptop is battery life. The 1080p version of the Dell XPS 13, for example, enjoys a healthy 13 hours of video playback. The Razer Blade Stealth didn’t excel in this area, unfortunately. While it did well enough on heavier loads in browsing tests, people will no doubt be disappointed by it lasting for just over 8 hours in video playback. That’s not terrible performance, especially not for a laptop with this high display resolution. We just wish Razer would have offered a 1080p version that could be more competitive for long days on the road. The Razer Blade Stealth does a lot of things right, but without the Razer Core, it feels a bit lost. 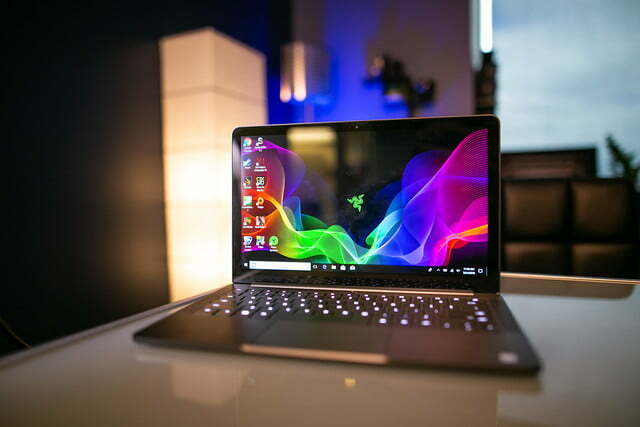 It’s slightly behind other systems in its price range, and the average laptop buyer won’t be attracted to the Razer brand. 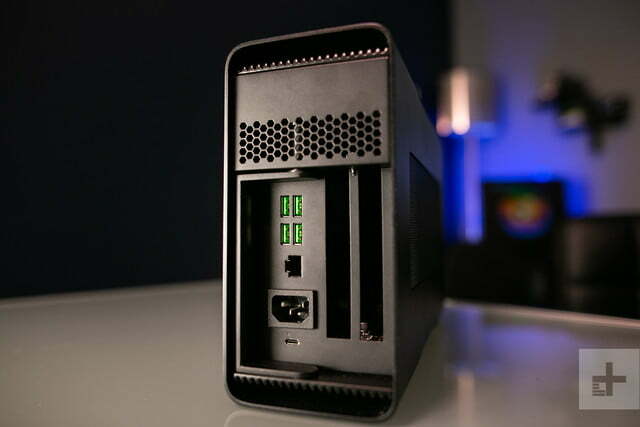 It feels designed exclusively for people interested in the Core graphics dock, making it hard to commend on its own. Several alternatives outpace the Blade Stealth in terms of quality and value. 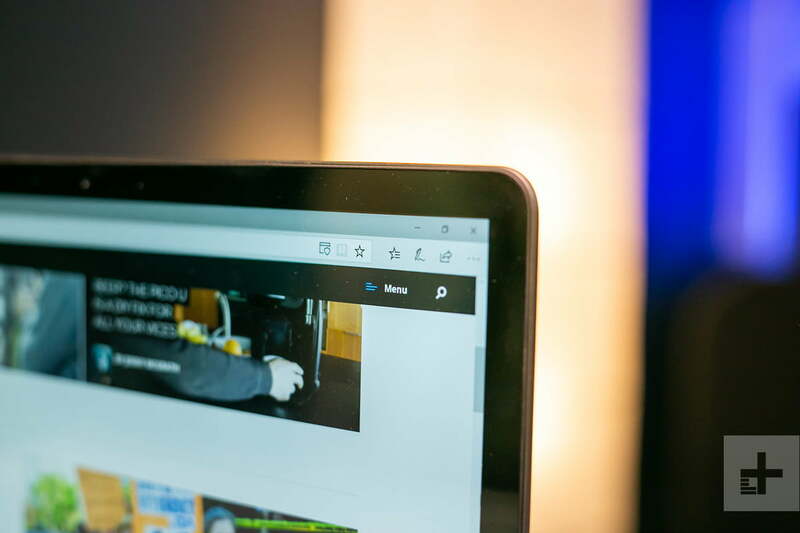 The Dell XPS 13, for example, is better in nearly every way, whether you’re talking about battery life, performance, or the display. What’s more, you have a large variety of options that let you spec it down to $1,000, or up to almost $2,000. 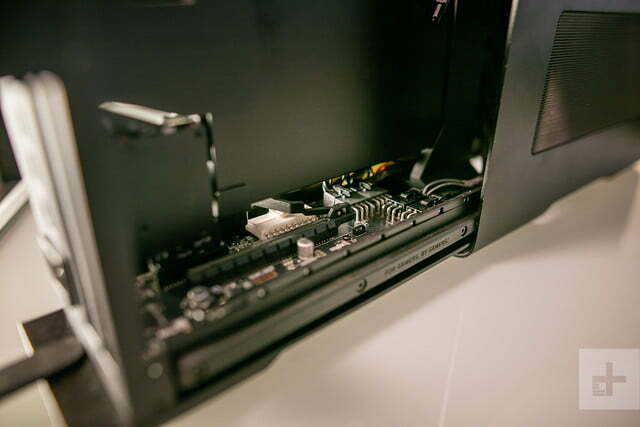 It’s a bit of a tighter race with the Blade Stealth’s primary competitor, the MacBook Pro. 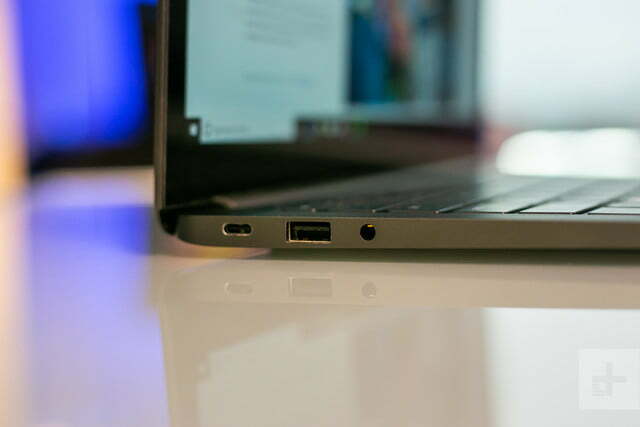 We prefer the overall look and feel of Apple’s laptop, but the Blade Stealth takes a more conservative approach to things like the keyboard and the port selection that many will prefer to what Apple currently offers. The HP Spectre 13 and Asus ZenBook 3 Deluxe are also good options, especially if you’re looking for something that can be scaled down to a more affordable starting price. The Razer Blade Stealth comes with all the latest components, so it should last you at least a few years. RAM is soldered on, though the SSD can be swapped out down the road if you want to upgrade. Razer systems come with a standard one-year warranty — not great, but what we’ve come to expect from most laptop manufacturers. Not unless you have the money to pair it with the Razer Core V2. On its own, it’s a solid thin-and-light laptop — just not of the best.